The Mad Lancers Won a Stabby Award! 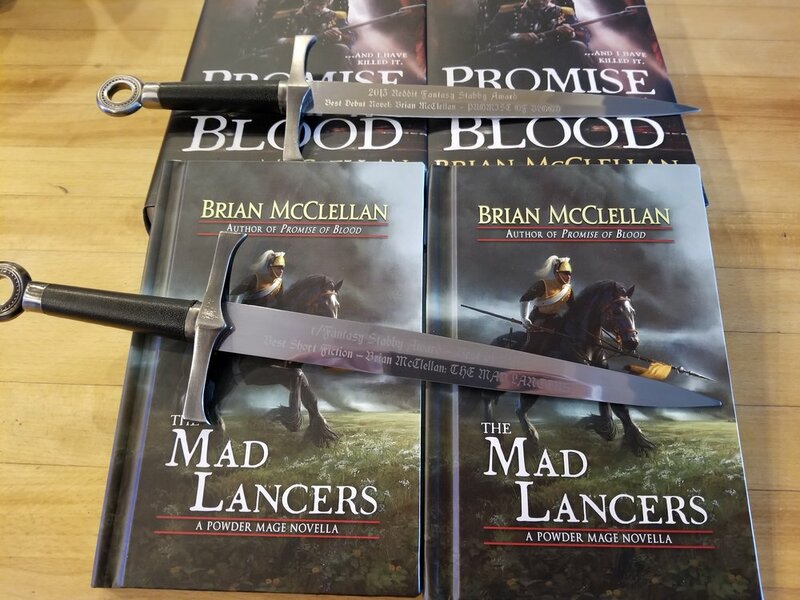 I am delighted to report that my latest powder mage novella, The Mad Lancers, won a Stabby Award! For those of you that don't know, the Stabby Awards are the yearly tradition of my favorite online community, /r/fantasy. They give out Stabbies for a bunch of different categories, including Best Debut Novel, which was won by Promise of Blood in 2013. 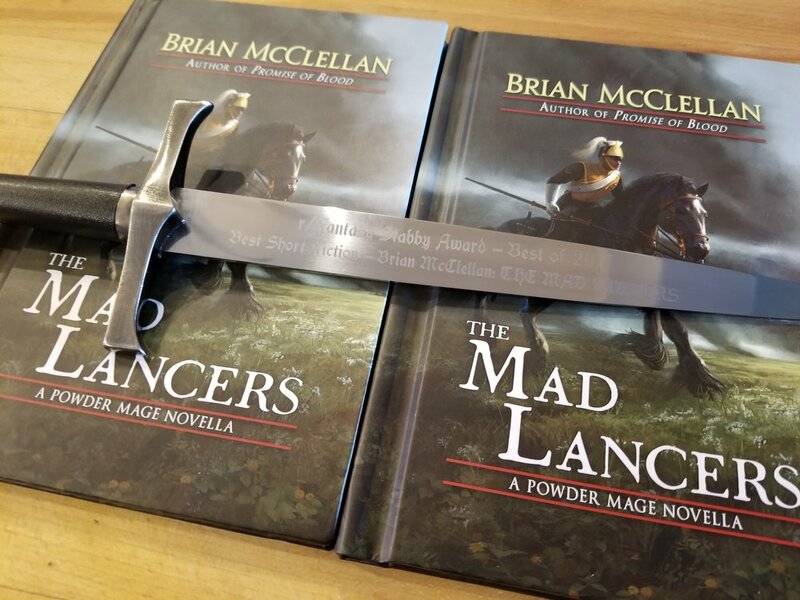 The Mad Lancers, a story that explores the history of the Fatrastan war hero Mad Ben Styke, won Best Novella this year. I couldn't be happier or more grateful to the fans. Thanks guys!